20th March, 2016 – Sarnath: His Holiness the 17th Karmapa, Ogyen Trinley Dorje will convene the 7th Khoryug Conference for Tibetan Buddhist Monasteries and Nunneries on the topic of Disaster Preparedness and Risk Reduction tomorrow. Lasting from the 21st of March to the 24th of March, the conference will be held at Vajra Vidya Institute, Sarnath, and will be facilitated in partnership with the National Institute of Disaster Management of the Government of India. The conference will be attended by over 50 monastic representatives from over 25 monasteries and nunneries. 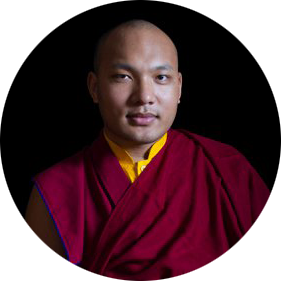 In organizing this 4-day conference, His Holiness the Karmapa is acting on his resolve to prepare monasteries and nunneries for potential disasters and to train monks and nuns to become first responders and risk reduction educators for local communities. The Himalayan region has seen three severe earthquakes just in the past five years: Sikkim 6.9 on the Richter scale in 2011, Nepal 7.3 in 2015, and Manipur 6.7 in January of 2016. Disaster management experts and seismologists have issued several warnings that these earthquakes have re-ruptured tectonic plates that were already cracked and increased the likelihood of more severe earthquakes to hit the Himalayan region. Over the weeks that followed the Nepal earthquake, 8 Khoryug monasteries and nunneries provided assistance to over 12,000 families spread out over 15 districts in Nepal. In the immediate aftermath, over 100 families were given immediate shelter within monastic compounds and an additional 2,200 people received direct medical support from doctors hired by the monasteries and nunneries. Monks and nuns also joined rescue teams, helped clear villages and roads of rubble, donated blood, volunteered at hospitals and schools and organized activities for children where schools had been destroyed. His Holiness has directed Khoryug; an association of over 50 Tibetan Buddhist monasteries and centers in India, Bhutan, and Nepal that work on environmental issues under his auspices; to learn from and follow the example of these monasteries and provide training on disaster risk reduction, response, and recovery strategies to all interested Buddhist monasteries and centers in the region. In keeping with His Holiness’ direction, over 50 monks and nuns will have received the training needed to lead their communities in the event of local disasters such as earthquakes, fires, and floods over the course of the next four days. Khoryug will also introduce several shareable documents including a booklet and a poster in English and in Tibetan that provide important information on how to reduce risks and ensure the safety of individuals and communities. Visit The Official Website of the 17th Gyalwang Karmapa – www.kagyuoffice.org and www.khoryug.info for more information on the conference.